The Frankowski Firm is an established name in investment law, working with investors whose trust has been abused by negligent or criminal brokers or investment advisors. As experienced and knowledgeable FINRA arbitration counselors in Sacramento, as well as trial lawyers, we fight for investors—small and large—who have suffered losses through the activities or inaction of investment companies and brokerage firms. We put forth reliable and experienced legal representation for those investors who have been duped or led into unwise investments through illegal or fraudulent means. What are some types of broker negligence and fraud we handle? Sadly, there continue to be new schemes devised by unethical brokers to bilk investors, so if you do not see your issue listed, please contact us to discuss the specifics of your situation. While some of these investment products may earn a profit for a small portion of investors, more often they entail some type of lack of transparency that leads to abuse and financial losses. The majority of investment conflicts now requires arbitration, as per the Financial Industry Regulatory Authority (FINRA). FINRA cases require attorneys to have further training, be skilled in negotiation, be familiar with a unique evidentiary system, and bring strong financial knowledge to bear on our clients’ cases. We can guide you through the FINRA arbitration process, from assessing whether you have a valid claim to gathering evidence and understanding the timeline. Our experienced Sacramento FINRA arbitration attorneys not only understand the ways to successfully navigate the nuances of the FINRA arbitration process, they will also work diligently to be sure that you receive the highest possible financial damage award. 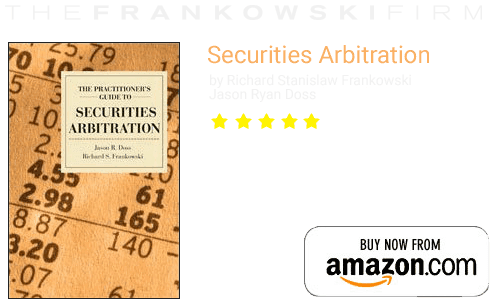 How can you tell if you have a securities arbitration claim? Investing is, by nature, a risk. The market’s fluctuations are what offer some a return and others a loss. However, when that loss was due not to market forces but to a firm or stockbroker’s misconduct, you may have sufficient grounds for a winning lawsuit. After demonstrating that a loss has occurred, the next step in the legal process is to establish that the loss was the direct result of the actions, or lack thereof, of a broker or investment firm. Securities litigation is a particularly complicated area of the legal system, and it is vital to have a lawyer who is fluent in all the relevant terms and details. Our team of practiced Sacramento securities arbitration attorneys at The Frankowski Firm has the legal, financial, and hands-on experience with FINRA cases to fully safeguard investors’ rights. How do our lawyers support investors? No two legal situations are identical. 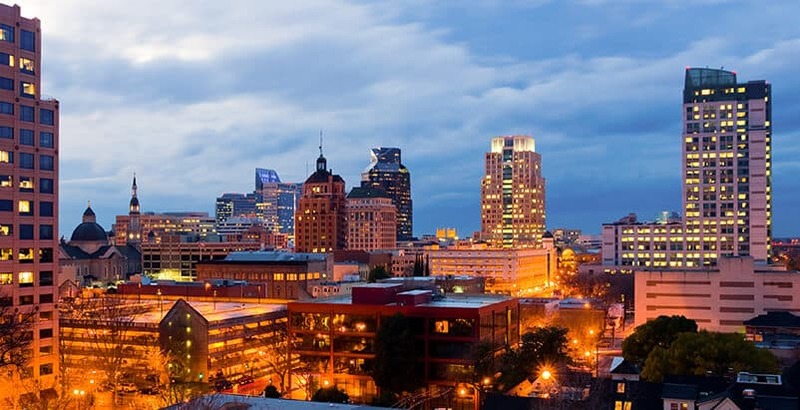 At The Frankowski Firm, our Sacramento investors’ rights lawyers carefully appraise every client’s position and speak directly to each of their concerns. We explain in depth the causes of why a specific investment may have failed, how the investment broker was remiss in his or her fiduciary obligations, and what the financial awards resulting from the improper investment administration could be. Investing losses are not always derived from the vagaries of market forces; instead the duplicitous actions of a broker or investment advisor may have resulted in the investment’s failure to perform. 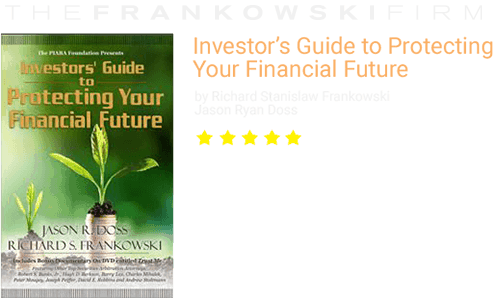 The securities investment lawyers at The Frankowski Firm put years of hands-on experience and wide-ranging resources to work to gain justice for investors. To discuss your case and receive answers to your questions, please call our Sacramento office at 888-741-7503 or complete our contact form.